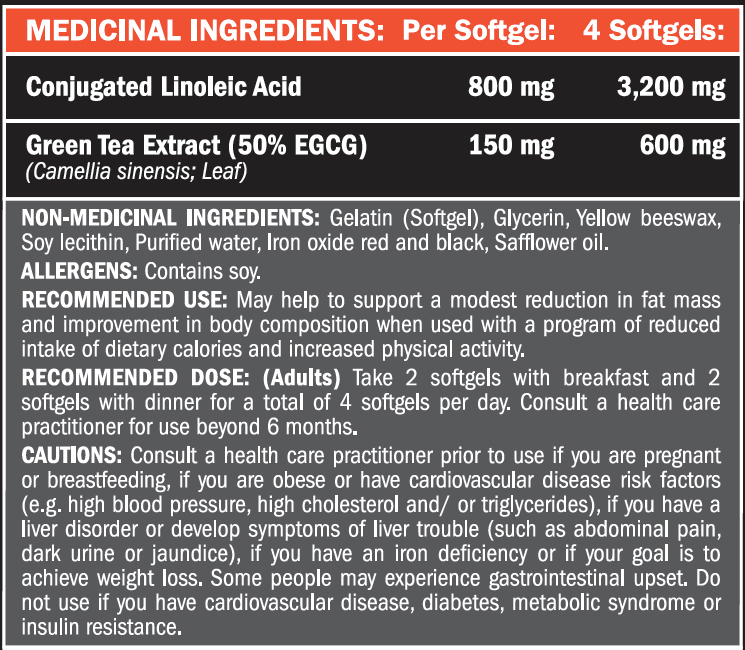 is a high-potency fatty acid supplement that features a complimentary blend of Conjugated Linoleic Acid (80% C9-T11) along with high EGCG Green Tea Extract (50%). C9-T11 conjugated linoleic acid is a safe, natural, anabolic compound extracted from safflower oil. 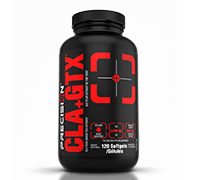 This nutrient modulates the production of prostaglandins, which are derived from fatty acid molecules and have been shown in research to be beneficial to athletes as a way to promote fat loss. Prostaglandins have also been shown to increase blood circulation to your muscles and adipose tissue - an effect that has been shown to both improve muscle synthesis and fat burning. CLA & Green Tea in combination naturally stimulates your metabolic rate and promotes the reduction of body fat, especially in the abdominal area.